An old friend we really love. This vividly toned killer GEM is the coin we originally placed in the #1 all Time HOF set of Bob Simpson (we exclusively built the set). There are 1915’s, then there is this 1915! This coin is still in its older holder. Amazing surfaces reveal nothing more then a super small and light frost break. There are NO cuts/lines/or whacks anywhere. The surfaces also have a thick satiny texture. A full booming luster can be seen from across the room. We can’t stress enough how heart pounding and memorable the totally original colors are. Bold shades of almost electric orange gold/intense yellow gold/light yellow gold swirl boldly all over. There NO spots or discolorations. Miss Liberty and the details are lightly frosted and have crisp full strikes. The eye appeal is totally jaw dropping! PCGS 64, NGC 91, CAC 20. 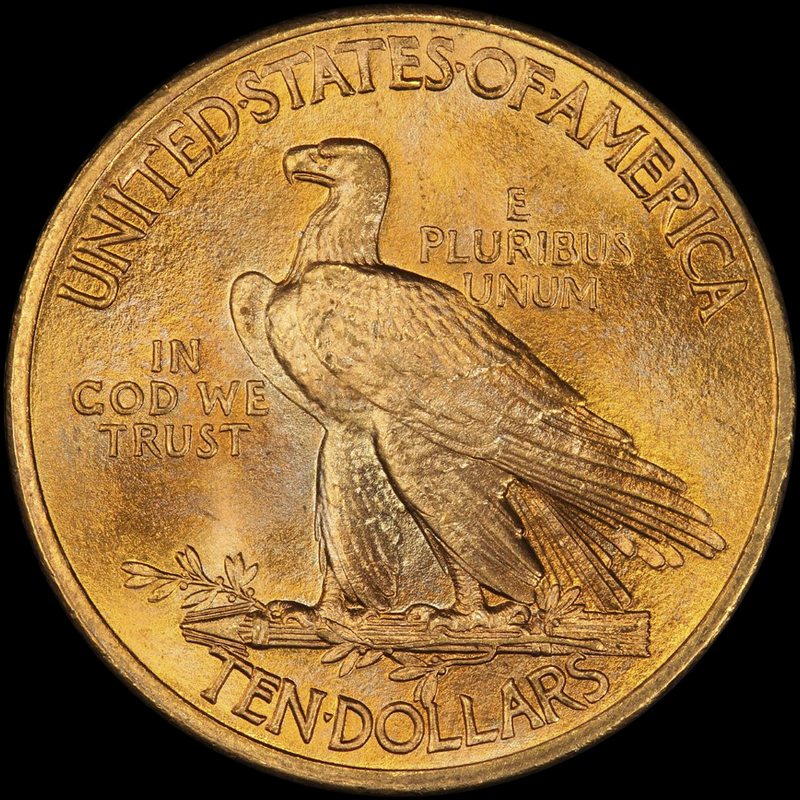 There are 20 graded higher, but we’d bet no more then 3-4 coins come close to even looking like this with the flaming colors. The pedigree does not hurt either. These are no where near common. The last PCGS CAC piece to sell brought $10,575.00 in auction 10/2015. If you LOVE toned $10 Indians, your not going to see many equal or even better! Remember, as Mr Simpson was buying, only the VERY best and wild looking pieces would do. 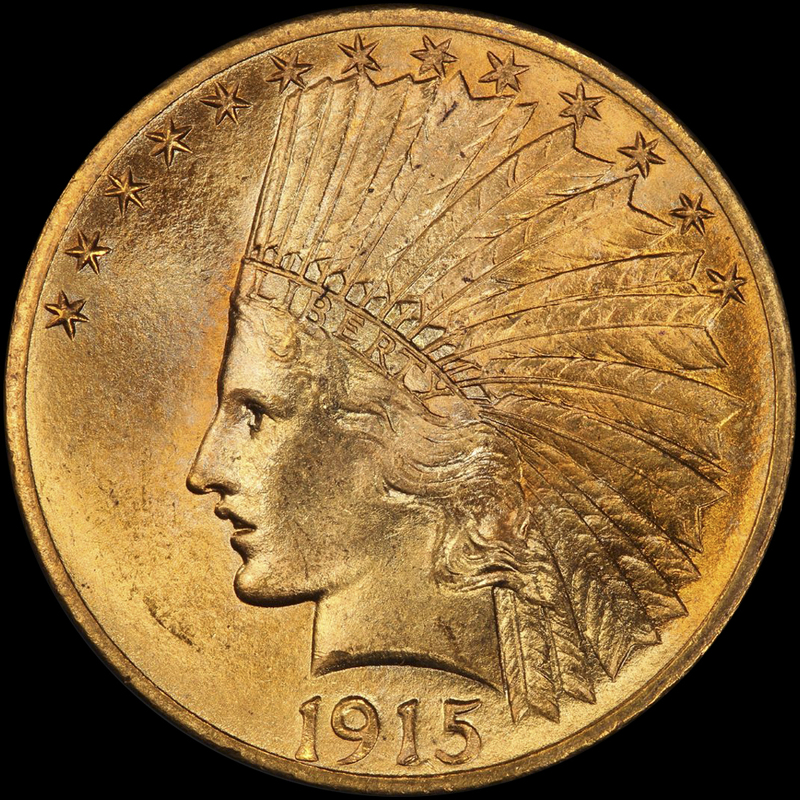 You do not have to be a Bob Simpson to own and treasure this coin in your collection.